Using crowdfunding in ways we’ve never dreamed of is the trajectory for Lynn Luckow’s LikeMinded. After 30 years experience in the nonprofit world and deep reflection on the critical question: “Have we made an impact?” Luckow is introducing LikeMinded to the world – and more specifically, to local communities. A platform dedicated to crowdfunding local projects happening on a national scale, LikeMinded will assist organizations in achieving reciprocal goals of raising money and uniting local residents for community prosperity. When considering participation in our democracy, voting and volunteering come to mind. Yet, elections and good deeds may not fully engage the talents and assets of everyday people in action for social change. In order to feel empowered, people need to be informed of where they can put both their sweat equity and financial support, in ways that directly impact their immediate surroundings. By showcasing transformational projects happening in our backyards, the online stage is set for off-line action. Everybody becomes a potential philanthropist and agent in local change. By showcasing transformational projects happening in our backyards, the online stage is set for off-line action. 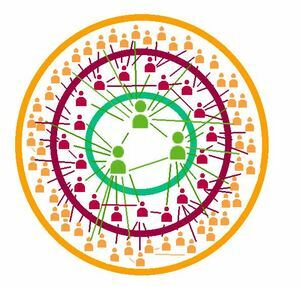 The world of crowdfunding is expansive, with platforms enabling $8.5 billion to be transferred from donors to recipients in the U.S. in 2015. What positions LikeMinded as a leader in the world of digital crowdfunding is: First, its charge to focus on efforts that are hyper local, Second, its built-in design to initiate partnerships for the common good. In addition to raising the general public’s awareness of quality projects, LikeMinded vitalizes an organization’s push to expand their support network – across business, government, and all regions of of civil society. Facilitating these unanticipated partnerships strengthens a shared effort towards community resilience and interconnectedness. While bolstering great projects LikeMinded proposes to unearth the social capital needed to build a people-powered movement that “un-silos” civil society. The goal is clear: revolutionize civic participation to catalyze collective impact. In this process, the ordinary person reconsiders her relationship in community. Through direct connections formed between trendsetting organizations and the people in their nexus, changemakers will be inspired to use the LikeMinded crowdfunding platform to reimagine the place they call home. Image taken from Buzz Canuk: <http://bit.ly/1Gf74M5&gt;. September 29th, 2015. Feature Image taken from JotFlow: <http://bit.ly/1PLXAgK&gt;. September 29th, 2015.